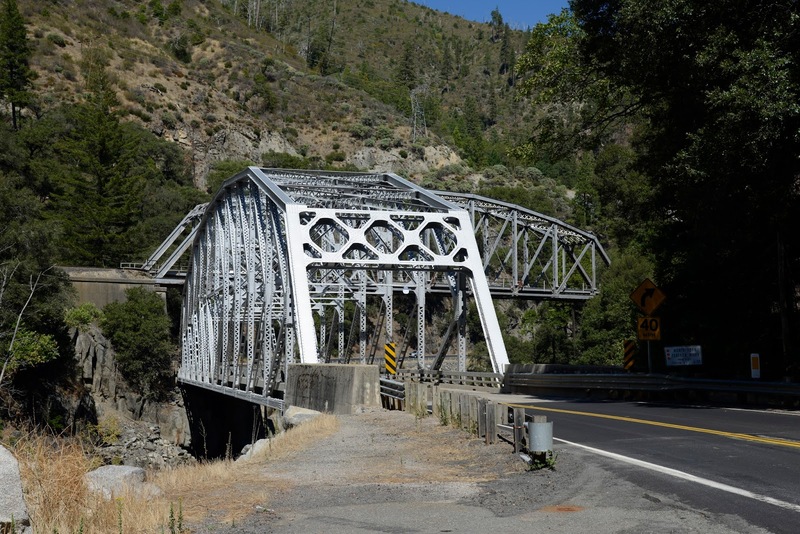 The North Fork of the Feather River Canyon is so narrow that there is barely enough room for a railway and a highway along its banks. 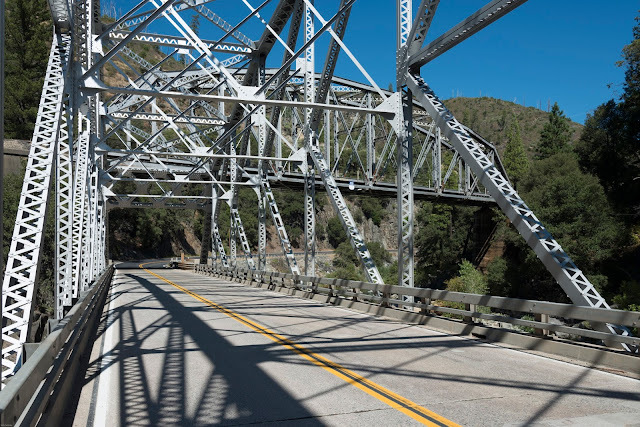 Near Tobin, State Route 70 crosses under the Union Pacific Railway just as both routes cross over the river. Perhaps the river bend was too tight for the railroad, which had to cross the river to make a longer radius curve. This may have blocked the highway, which was forced to cross to the other bank. This dance between transportation routes continues (with an occasional dam or tunnel pushing them together or further apart) until the highway, the railway, and the river go in different directions near Keddie. The Tobin Underpass (09 0005) is a 234 ft long, single span camelback Pratt truss (with the diagonal truss members oriented towards the center of the bridge) that was built in 1910. The North Fork Feather River Bridge (09 0004) is a 290 ft long, single span 'K' truss bridge (so named because of the configuration of the vertical and diagonal members) that was built in 1936 (see photo above). The dates of the bridges correspond to the dates when the railway and highway were built. The highway bridge is rated as deficient (despite having been recently rehabilitated) mainly because there is no room in the narrow canyon to provide shoulders or other safety features to the bridge. It carries about 1000 vehicles a day. The railroad bridge is likely to also need some maintenance but continues to carry several freight trains a day. 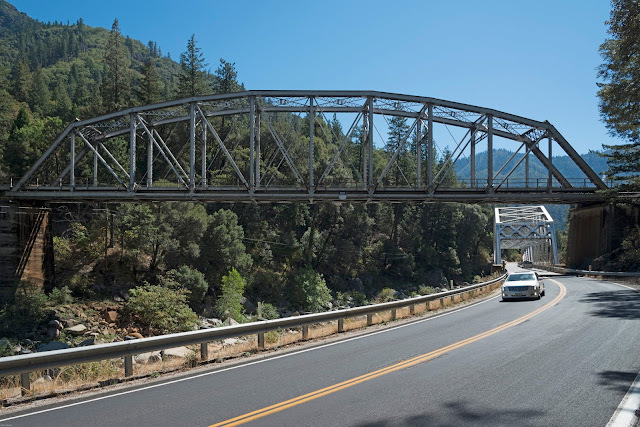 Plumas County, California Bridges: Tobin Bridges across the North Fork of the Feather River by Mark Yashinsky is licensed under a Creative Commons Attribution-NonCommercial-NoDerivatives 4.0 International License.